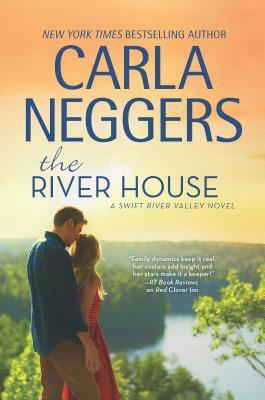 In this charming novel about the search for love, home and family, New York Times bestselling author Carla Neggers takes readers on a journey to an irresistible town they'll want to return to over and over againFelicity MacGregor loves organizing social events for others, but her own personal life is a different story. After a brief but failed attempt at a career as a financial analyst, she returned to Knights Bridge, where she enjoys running a thriving party-planning business.Then Felicity's life gets a shake-up when her childhood friend Gabriel Flanagan returns unexpectedly to their tiny hometown. Now a high-flying businessman, Gabe always vowed to get out of Knights Bridge, but he is back for the local entrepreneurial boot camp Felicity's been hired to organize. Together again, they'll finally have to face each other--and their complicated past.Gabe and Felicity soon realize their reunion is stirring up long-buried emotions. While Gabe has big plans for his future, Felicity is discovering that hers doesn't depend on fate--she must choose what's right for her. But if they can find a bridge between their diverging paths, they may just discover that their enduring connection is what matters most.